2017 was a year Shakespeare aficionados could never forget: it was the only year Shakespeare in the Park could not be hosted due to the lack of funding. 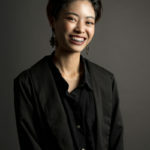 Instead, the Singapore Repertory Theatre (SRT) sated the nation with its critically-acclaimed banner production Forbidden City: Portrait of an Empress. First held in 1997 with Hamlet, Shakespeare in the Park has been a recurring production theatre-goers look forward to. Since then, the production has staged notable Shakespeare works such as Much Ado About Nothing (2009), Romeo and Juliet (2016), The Tempest (2015), and The Merchant of Venice (2014). “As much as we missed producing it (Shakespeare in the Park) in 2017, we have to balance our resources and manage our risk,” she continued. Although the crowdfunding goal of $100,000 has been successfully attained with its Save our Shakespeare campaign held last year, this year’s production would still be making a loss. Nevertheless, the non-profit organisation vows to bring back their largest production this year – and it seems like they are not holding back at all! The veteran Malaysian actress is set to play the titular role of the Roman politician, who has gained so much power that Brutus and Cassius are convinced that they have to conspire and kill Caesar for the Romans’ sake. Director Guy Unsworth explained that the intended contemporary setting of the play would make it seem “backward” to cast the figureheads as all male. In fact, if the production had stayed true to the genders of the characters, there would only be 2 female parts and 45 male parts – talk about a nightmare casting call! The audience could expect a modern context from the original text of the play, as the play’s political theme and exploration of the difference between the public and private image would now include the “press” and the “media” to play a large part in the storytelling: this means that there would be the use of live cameras, 24 television screens, video links, social media feeds, and news forecasts during the performance. As Cassius puts it aptly, “the fault lies not in our stars, but in ourselves,” there is no better way to explore the power of the elements than under the stars in Fort Canning Park. Watch this year’s Shakespeare in the Park – Julius Caesar – before history repeats itself.